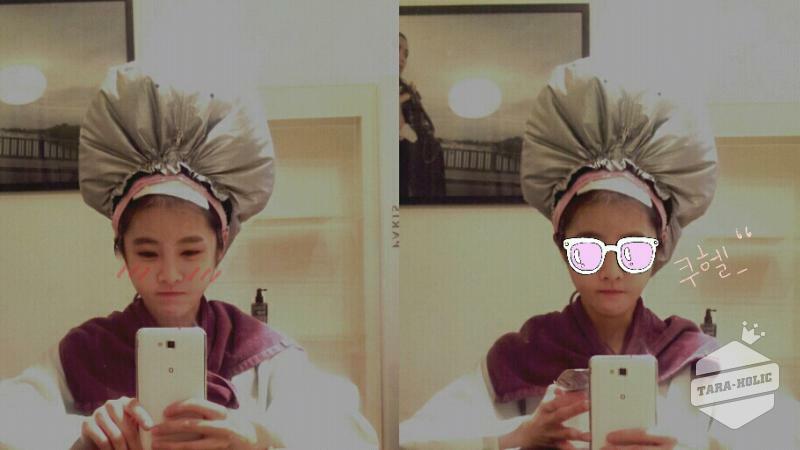 "[TRANS] for the sake of my pitiful scalp that I didn’t even know when did it get so damaged since I didn’t pay much attention to it..from now on I’m doing scalp care diligently"
She looks like a muffin with a bonnet. So cute! I'm really liking T-araholic so far. Translation added to image above.